Super soft and just the right weight. This pullover fleece hoodie features a front pouch pocket and an off white flat drawcord with the classic UpNorth Campfire logo. 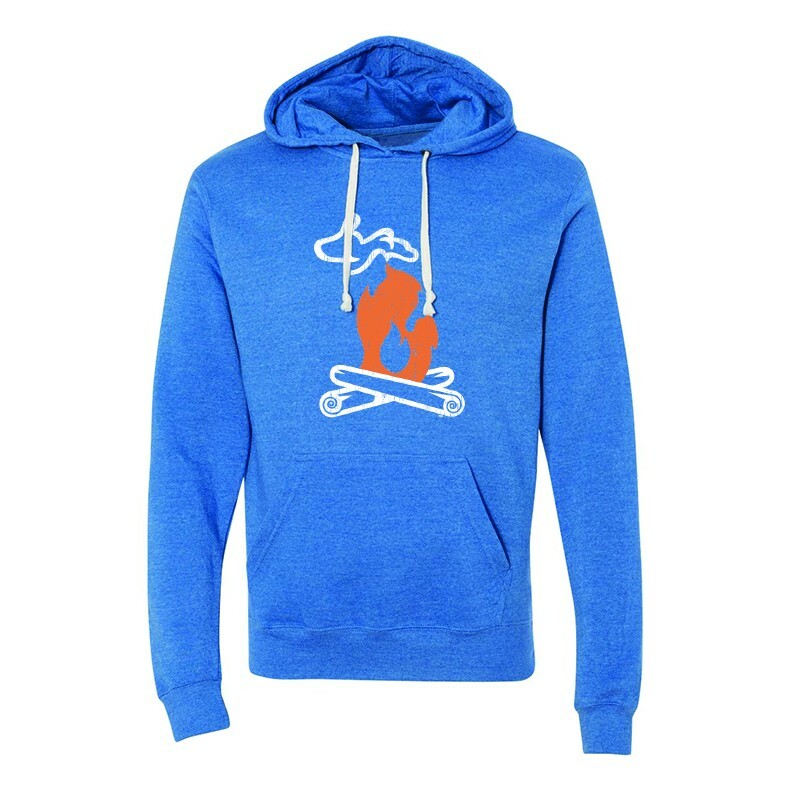 Item ships directly from UpNorth Michigan by Threads..
Super soft and just the right weight. This hooded sweatshirt features UpNorth Michigan Campfire logo on a deep charcoal pullover fleece with a pouch-style pocket and a unique off-white draw cord. It is the perfect weight at a 7.5 ounce blend of 55% cotton, 39% polyester, and 6% rayon. True-to-size unisex fit in XS-2XL.